When it comes to avocado benefits, what do you know? For healthy eating, it is a wise choice as there are many health benefits. 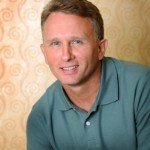 We have been bombarded with reports in the last few decades from the majority of health care officials and the media telling us saturated fats are bad for your health…that they lead to many negative consequences, such as obesity, heart disease, high cholesterol and Alzheimer's disease. However, during the same period, the American levels of heart disease, obesity, elevated serum cholesterol and Alzheimer's have skyrocketed. But did you know studies are numerous on the Pacific Island populations that show cardiovascular disease is nearly non-existent even though they get 30-60 percent of their total caloric intake from fully saturated coconut oil! So obviously the fact is fats are not created equal. Besides minimally processed coconut oil, avocado beneifts include being a great source of healthy fat your body needs for optimal health. The first factor is the color. When fully ripe, the color will be dark green or black. Another is based on when you are going to eat the avocado. - Today: It will easily yield to gentle pressure in the palm of your hand. - Eat Tomorrow: It will yield to gentle pressure in the palm of your hand. - Eat in 2-3 Days: There will be slight give to the avocado. To ripen at home, place it in a brown paper bag at room temperature. To ripen faster, put an apple or banana in the bag. Even though it is one of the least contaminated foods, always wash your avocados before cutting. Cut it lengthwise around the seed and twist halves in opposite direction. Alternatively, use the blade of the knife to pry split the two halves. Some may remove the skin, but cutting is an easy method. Once in half, use a spoon to scoop out the seed and meat of the fruit. The refrigerator is the best way to store avocados. 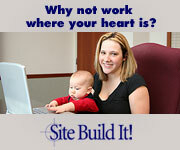 Ideally use them within 2 to 3 days. If it is cut, sprinkle it with lemon or lime juice and store in an air tight container. The juice will help keep it from browning also. However, browning will not affect the taste…but the discoloration does turn people off. You can freeze avocados. To do so, mash the cut avocado, place in a container and then combine with lemon or lime juice. Before covering with the lid, use plastic wrap and place directly on the mixture. Avocado benefits also include being an excellent fruit that can be used in many ways. They are loaded with nearly 20 vitamins and minerals and a good source of healthy mono and polyunsaturated fat. They make a great addition to salads, sandwich or burger spread, pasta and soups. When used as a spread, you get the same creamy texture as of mayonnaise, but half the saturated fat or calories. For a balanced meal that contains protein, fat and carbs, toast a piece of whole wheat toast, spread with avocado and place a fry egg on it. Although it first it may sound like an unlikely combination, it tastes awesome. 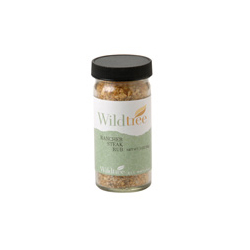 For an added zing of seasoning, try the Rancher’s Steak Rub by Wildtree. Terrific and enjoy avocado benefits! 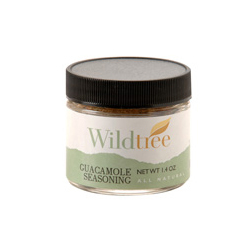 Get avocado benefits and Buy Wildtreee Guacamole seasoning by clicking here. Avocados provide more than 25 essential nutrients, including fiber, potassium, Vitamin E, B-vitamins, and folic acid. One-fifth of a medium avocado provides beneficialphytochemicals such as glutathione, beta-sitostero, and lutein. Phytonutrients are thought to help prevent many chronic diseases. Avocados act as a “nutrient booster” by enabling the body to absorb more fat-soluble nutrients, such as alpha - and beta-carotene as well as lutein, in foods that are eaten with the fruit.